Mercedes-Benz of Boerne is proud to be part of Group 1 Automotive, an international partnership of dealerships throughout the US, UK, and Brazil. All these dealerships, including our own, share a simple philosophy: serve the customer better. We understand how hard it is to find a dealership that you can trust to meet all your needs quickly, completely, and fairly. That is why we do everything possible to build that trust the first time you work with us and every time after. More discerning drivers from throughout Central Texas make us their dealership of choice. If you are looking for something new and truly exciting to drive, a new Mercedes-Benz is the perfect option. Every model is stunningly stylish, impeccably upscale, and engineered to deliver pristine performance. We also have a large and diverse inventory of pre-owned models for you to consider. After you’ve toured and test driven your ideal option, work with our financing team to explore your options in a stress-free environment. Then once you’re out on the road, rely on our professional service center for all your required maintenance and necessary repairs. Your vehicle is in good hands when our expert team of technicians is under the hood. 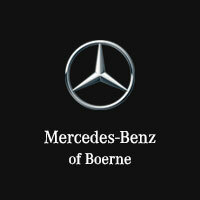 If all you need is parts and accessories, we carry an extensive supply manufactured exclusively by Mercedes-Benz. We look forward to the opportunity to earn your trust and loyalty. Visit our dealership today at 31445 IH 10 here in West Boerne to meet our team and learn more about the latest Mercedes-Benz vehicles.